Septic tanks are designed to separate solids from wastewater, store the solid material (sludge) and allow the liquid to go to the drain ﬁeld. In order for it to function properly, it is important to have periodic maintenance of your septic tank. The frequency with which you need to have your septic tank pumped depends on several factors including: size/capacity of tank, how many people use it and the volume of solids in the wastewater. On average, a septic tank should be cleaned every 3-4 years. 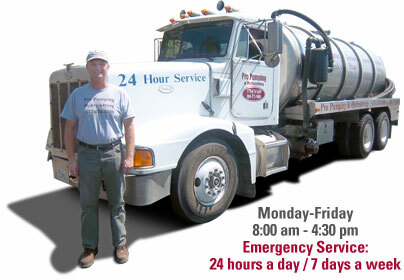 We keep a record of all service provided so you can schedule regular maintenance and prolong the life of your septic system.